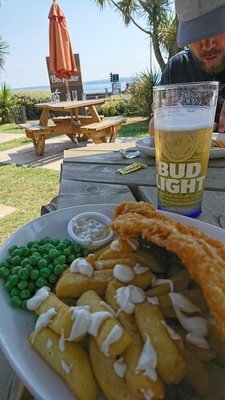 Fish and chips by the seaside! Eating cleaner/healthy at the moment and my god I am bored of just veggies and salmon now. Gonna make chilli prawns with noodles and bok choi for lunch the next 2 days. Got spag bol tonight. 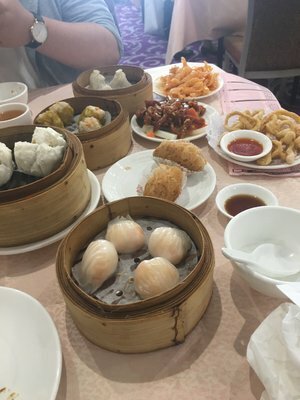 Nom Nom. How's the melon bread, dude? And you bringing samples back for everyone here? 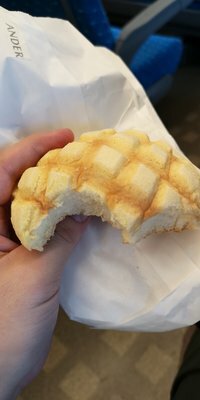 The melon bread was like a donut but not as sweet. I was eating that on the shinkansen. 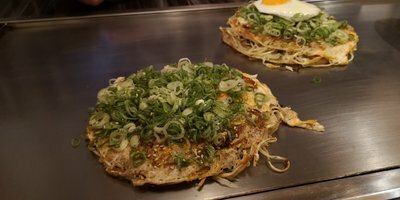 Did you actually eat a whole okonomiyaki?! Those things look huge! I was eating that on the shinkansen. 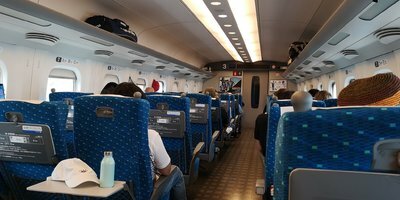 Shinkansen was like an aeroplane but with more legroom. I keep wanting to post pictures of stuff I've been eating but when I remember to take one I've already eat it. 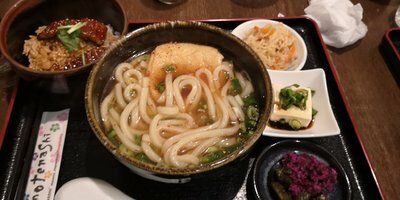 No pictures of takiyaki in Osaka sorry. Tomorrow we're going to the Tesujin statue in Kobe then on to Toyo for the remainder (with one day out for Fuji). We're having to drop the camping but are still having a mooch. Blimey, all since Monday. You doing a city a day? Got to do a guess the anime thread with photos you've taken. Got include one from Yuru Camp even if you aren't camping.